Driving is the dream of most teenagers and a panic attack in the making for many parents. In fact, few moments in life stack up to the excitement and fulfillment of earning that first driver’s license. Suddenly the possibilities are endless. Freedom arises like never before and adulthood seems just a breath away. Unfortunately, distracted driving auto accidents claim the lives of 11 teens daily and threaten the future of 6,000 teen drivers on an annual basis. The good news is it doesn’t have to happen. By demanding your kids follow just a few simple teen driving tips, you might be lucky enough to avoid waking up to your worst nightmare every day for the rest of your life. Car crashes are the main cause of death for teens between the ages of 15 and 19. And the prime reason for those crashes is inexperience. Many insurance companies offer safe driver programs for teens and other new or inexperienced drivers. By agreeing to participate, the teen signs a contract that outlines their responsibilities on the road. Parents who enroll their kids may be offered a discount on their premiums, so it can be a win-win right from the start. If you’re fortunate enough to be able to provide a vehicle for your newly licensed family members, opt for function over flash. Small cars and high-performance models with every gizmo imaginable may seem like great deals, but they often encourage new drivers to show off and behave recklessly. Avoid trucks and SUVs as well as they pose rollover risks. Moderate mid-range vehicles with excellent ratings are the safest and sanest choice for teens. Teenagers seem to live in a bubble of invincibility. Their minds are so curious and focused on moving forward and impressing their social circle that they can’t seem to accept that a strong gust of wind can knock them off of their lofty perch. Parents, on the other hand, have fully developed brains that constantly remind them of the truth: that life is fragile and nothing is more important than getting home safely and in one piece. One of the nation’s most comprehensive studies by the AAA Foundation for Traffic Safety recently discovered that distraction is involved in 60% of all teen-related crashes. 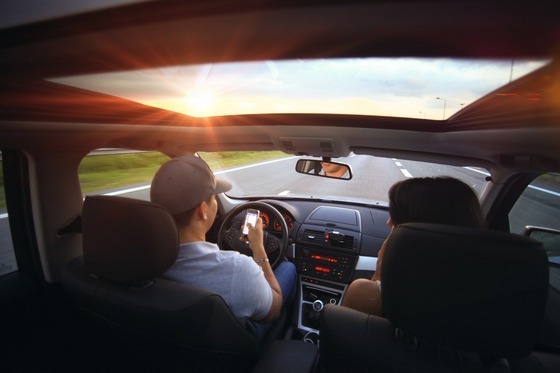 While texting or tech usage plays a major part in that, so does interaction with other passengers, eating in the car, singing or seat dancing, grooming, looking for items in or out of the vehicle, and reaching for items in the vehicle. Drinking or chemical substance use only adds to the problem by changing brain chemistry and affecting focus. The worst thing to a teen who just got their license is the threat of losing it. So put your foot down that distracted and impaired driving is not permitted for any reason. And let them know the consequences will be severe. Just be sure to stick to it. Regardless of how many friends your kids have or how hard they try to push you away during those teenage years, active and involved parents are still their kids’ main role models. If you drive safely, they’ll be more likely to follow suit. So always buckle up. Obey speed limits and traffic signs. Be considerate of other drivers. Never drink and drive. Avoid any phone activity inside the car–better yet, turn off your phone altogether. Your efforts can ensure you won’t have to contact a competent Ann Arbor auto accident attorney, but they might also be the reason your teenagers reach adulthood.